This post about ways to reduce holiday stress is sponsored, but all opinions expressed for IMODIUM®, PEPCID® and LACTAID® are all my own. The holidays are right around the corner and just weeks away we will have the whole bunch over for a nice family dinner. One inevitable thing about the holidays is stress. You can’t escape it, but you can manage it and reduce it with a few steps. I know that when my family is visiting, I need to step it up a notch. I don’t want to lose my mind in the process of our family fun. Here are some ways to reduce your holiday stress this season. Whether you are hosting a family gathering, attending one, or just stress out in general during this time of year. Don’t lose track of what your plans are by keeping a journal. Write down your dates, lists, numbers– whatever you need to help you stay organized. I love my bullet journal because I put all of my to-dos, lists, important events and dates all in one place. It is a lifesaver and keeps everything in order. If you know what you’re general menu is for the holidays, why not make some of those meals ahead of time? What we usually make during the holidays are: mac and cheese, green bean casserole, mashed potatoes, tomato basil pasta salad and more. While you can’t make EVERY meal ahead of time, you can make what you think would be easy to store in the fridge or freezer. Then, the day of your gathering, you can just reheat everything during the day. Nothing is worse than enjoying a family meal during the holidays and then having heartburn, diarrhea, and stomach pain while everyone else is enjoying themselves. One way you can prepare for this is by having some Lactaid, Pepcid Complete, and Imodium on hand. These will help you or your guests with their heartburn, stomach pain, and even diarrhea so that you all can enjoy your time together. Budgeting for the holidays can be stressful. So, one way to help you combat that is by looking for deals and using coupons. Reduce your costs by racking up savings, stacking coupons, and finding new ways to save money. I personally love using Ebates when online shopping. I get cash back when I shop at my favorite retailers online! I also clip coupons from the weekly newspaper and wait for deals. You don’t have to do it alone! Hosting a family gathering can be extremely stressful on the host, so if you’re hosting one this season don’t go at it alone. Try hosting a potluck and ask your guests to bring a dish. Involve the kids and have them help with minor tasks to save time. Ask your spouse or others to share the tasks on your to-do. We love hosting potlucks because it’s stress-free and everyone can enjoy their favorite meals with no fuss. This year, I will definitely be keeping some LACTAID® dairy products on hand while cooking and supplements for dishes I can’t control. I’ll have IMODIUM® for fast relief from painful stomach symptoms that I have during our holiday feasts and PEPCID® for my guests who experience heartburn after meals. 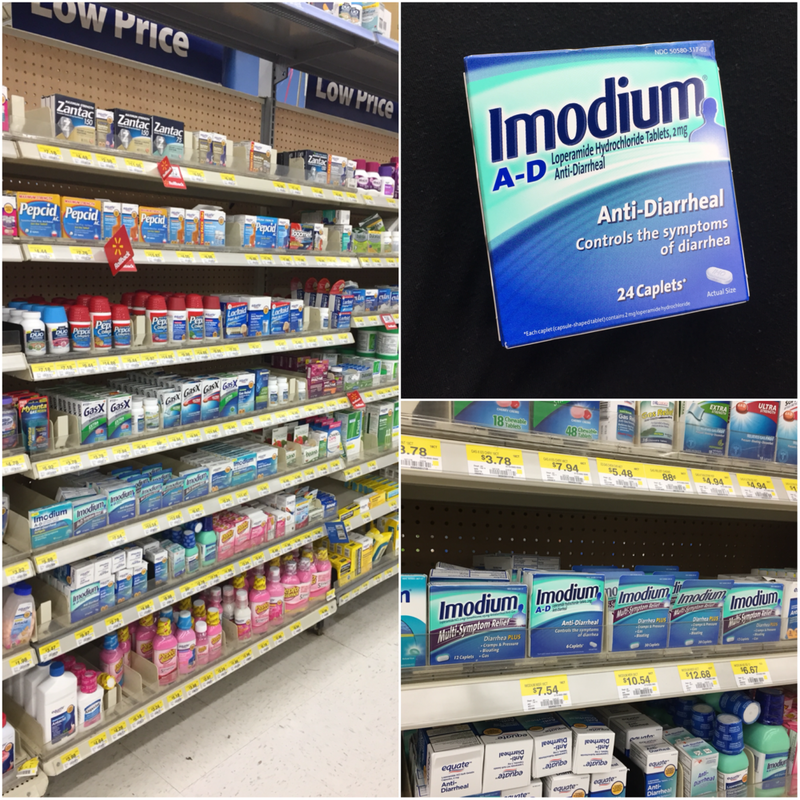 Check your local paper for savings up to $3 off IMODIUM®, LACTAID® & PEPCID® and to find all the products you need to prepare for the holiday at your nearest Walmart! While you’re doing your holiday shopping at Walmart this season, you can grab these too. Do you get stress during the holidays? How do you reduce holiday stress? 5 Baby Sleep Tips for Holiday Travel + Giveaway! Spooky Fun Halloween Celebration at Fairlane Mall!